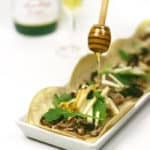 This recipe is sponsored by Martinelli’s. Thank you for supporting the brands that support Feast + West! 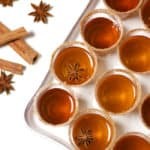 Apple Cider Jell-O Shots are not your average Jell-O shot, and they will be the star of your holiday party. 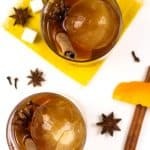 Infuse bourbon with cinnamon and combine with Martinelli’s Apple Cider, sugar and gelatin — with an extra cinnamon sugar rim! — to make this festive holiday treat that’s fun for the whole (21+!) family. This shouldn’t surprise you: One of my favorite things about the holidays is getting to make food to share with my friends and family. The winter season is one of my favorite times to try new recipes because I love sharing that experience with my loved ones. For example, a couple years ago, I made Champagne Jell-O Shots for New Year’s Eve and they were cause for much amusement. My brother and I laughed and laughed as we showed my mom how to eat a Jell-O shot. Jell-O shots are underrated, I think. They get a bad reputation for their part in college party culture. And I get that. But they’re also an entertaining treat for all ages (21+ of course!) that can still be enjoyed in moderation. They can even be made alcohol-free if you so choose! Case in point: My family sometimes does Jell-O shots at football game tailgates, and it’s a nice way to toast our team as a group before heading into the stadium. 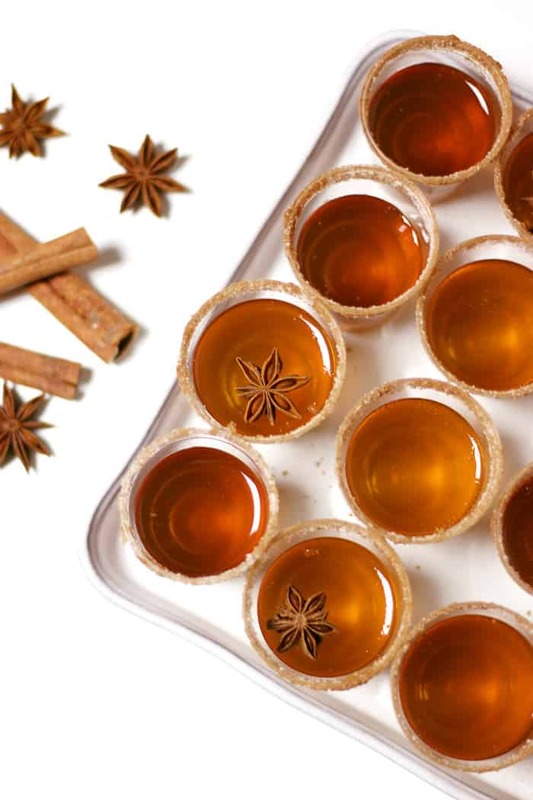 It’s that camaraderie that inspired these Apple Cider Jell-O Shots with Bourbon. 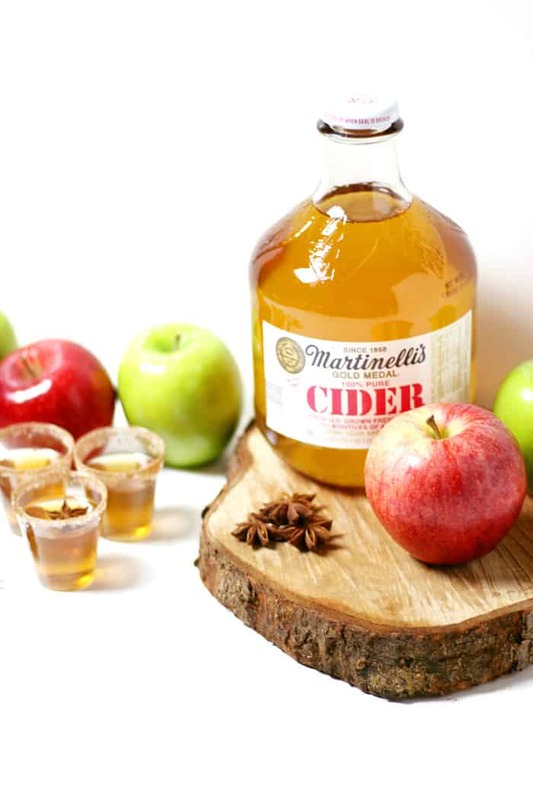 I wanted to come up with an autumnal dessert drink to enjoy with my family and friends in celebration of the holidays, and I teamed up with Martinelli’s to bring you this super fun and delicious recipe. 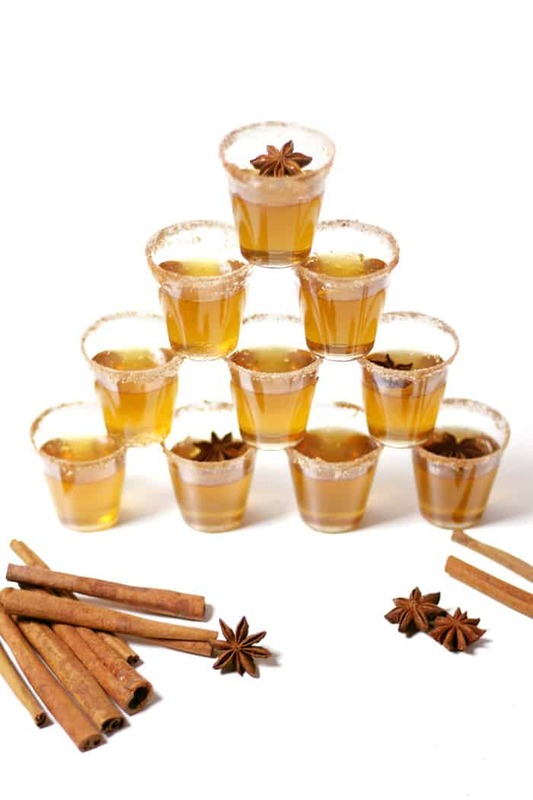 Apple Cider Jell-O Shots are definitely not your average Jell-O shots. I’m not a fan of using the artificially flavored powdered stuff and plain vodka. There’s so much more room for creativity! I much prefer to make my own flavors of Jell-O shots with delicious raw ingredients, and that’s where Martinelli’s comes in. 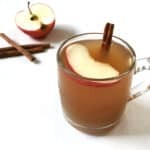 They make an apple cider that I will happily drink cold or hot. It’s both sweet and robust, perfect for sipping. 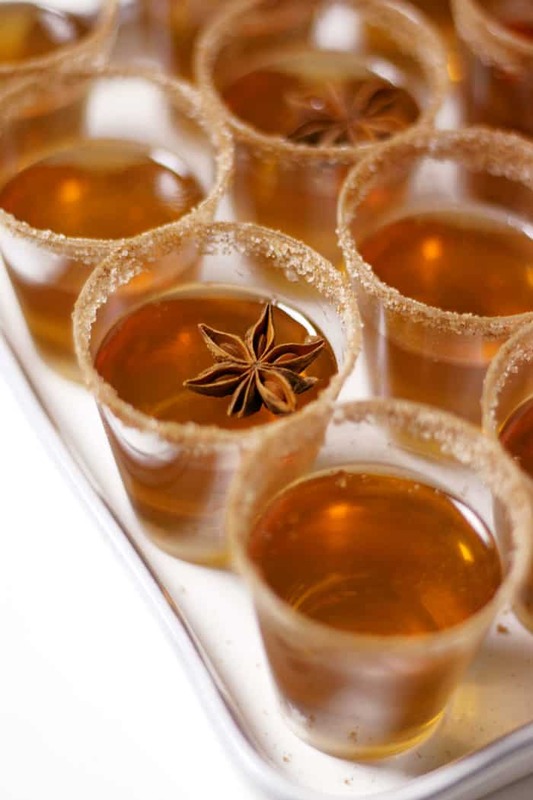 But it’s also incredible when paired with a cinnamon-infused bourbon in these Apple Cider Jell-O Shots. You’ll need to do some stove cooking and gelatin magic to make these Apple Cider Jell-O Shots, but it’s easy and you’ll kick yourself for not trying homemade Jell-O shots before now! Start by infusing your favorite bourbon or whiskey with a few cinnamon sticks. Sometimes I like to make some extra cinnamon-infused bourbon for other cocktails later. 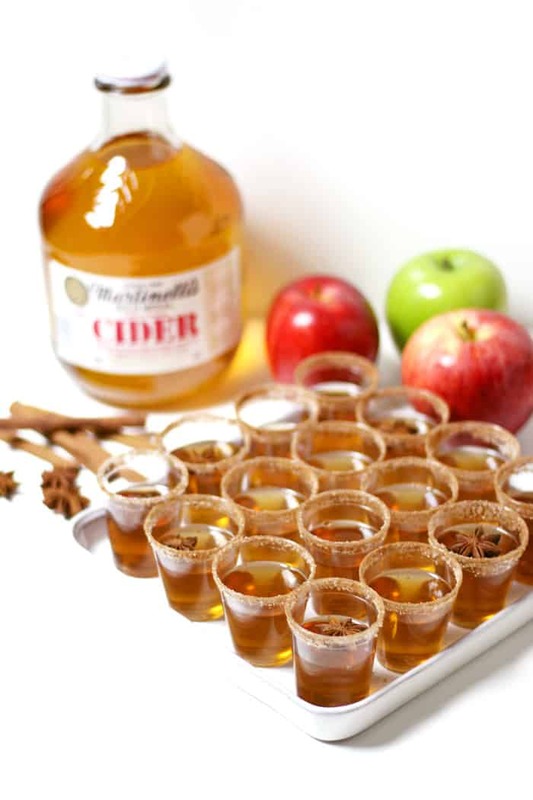 To make the Apple Cider Jell-O Shots, all you need to do is combine the Martinelli’s apple cider and sugar in a saucepan and sprinkle the gelatin over the top. After a few minutes, the surface will look wrinkled – that’ll mean it’s time to heat things up! Once everything is dissolved, you can add the spiced bourbon and pour the mixture into your prepared shot glasses. 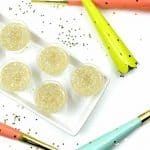 I rimmed these Apple Cider Jell-O Shots with a lemon wedge and cinnamon sugar for an added flourish and an extra finishing touch. This extra step will impress everyone! Love Jell-O shots? Try these! 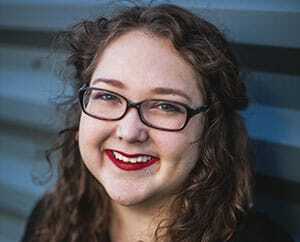 The video you did is AWESOME!!! Great job! Hey Cait! One recipe make about 12 jello shots. However, it really can depend on the size of the shot glasses and how full you fill them! For a party, you might want to make 2-3 batches if you think your guests would have more than one! Hope they’re a hit! I’m confused on the sugar part. The recipe calls for 1 c sugar and then 1/4 c sugar. How much is for the cider mixture vs the rim mixture? Hey Christina, I can see how that would be confusing. I have edited the recipe to make it a little clearer which amount of sugar goes in the shots and which is for the rim. I hope that helps!